Durable safety mat with colored borders. Wet, greasy, dry areas. Heavy duty usage. Elevated construction. 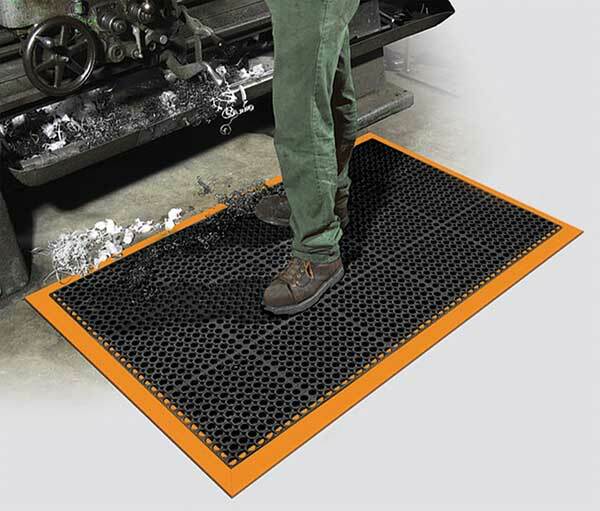 Our Safety Tru-Tread rubber drainage floor mats are made in America. 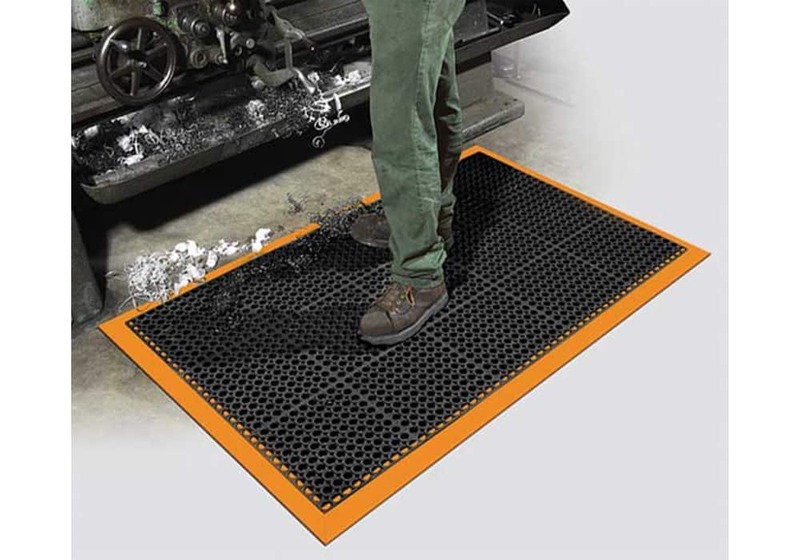 The anti-fatigue matting provides cushion and support for wet, greasy and dry environments. Made with 7/8" thick, heavy-duty construction with durable, beveled safety borders. Colored, removable borders for increased safety awareness (yellow border OSHA compliant). Base mat made from grease-resistant, black rubber. Drainage holes allow liquids and waste to pass through mat. Nibs elevate the mat above the floor surface to allow easy drainage of fluids away from mat. Recommended uses include: Oily, greasy industrial workstations or work cells, wet manufacturing work stations, bar and kitchen wet areas, food processing work stations. Thick, heavy-duty construction with durable, beveled safety borders. 3-sided or 4-sided, colored, removable borders for increased safety awareness (yellow border OSHA compliant). 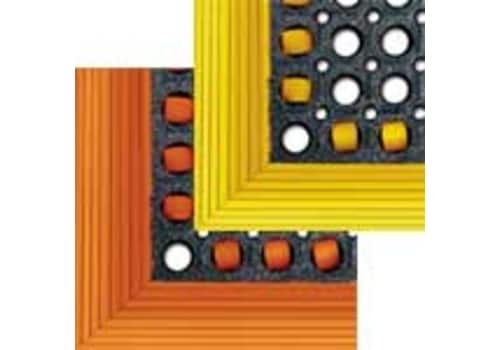 Anti-fatigue matting provides cushion and support for wet, greasy and dry environments. 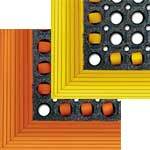 Available in Black (Grease Resistant) with colored borders: Yellow (OSHA) and Orange. Also available in Black (Grease Resistant) with GritTuff top and Yellow or Orange borders. This is an extremely aggressive, high traction, carbide grit top surface. Also available without colored safety borders as our standard tru-tread mat. Oily, greasy industrial workstations or work cells. Bar and Kitchen wet areas. Product Weight (Black): 2.4 lb/s.f. Product Weight (GritTuff top): 2.9 lb/s.f.